Allow your customers to download professional quality quotations of their shopping cart as PDFs with one click, or allow them to email or even save their quote for a later purchase. 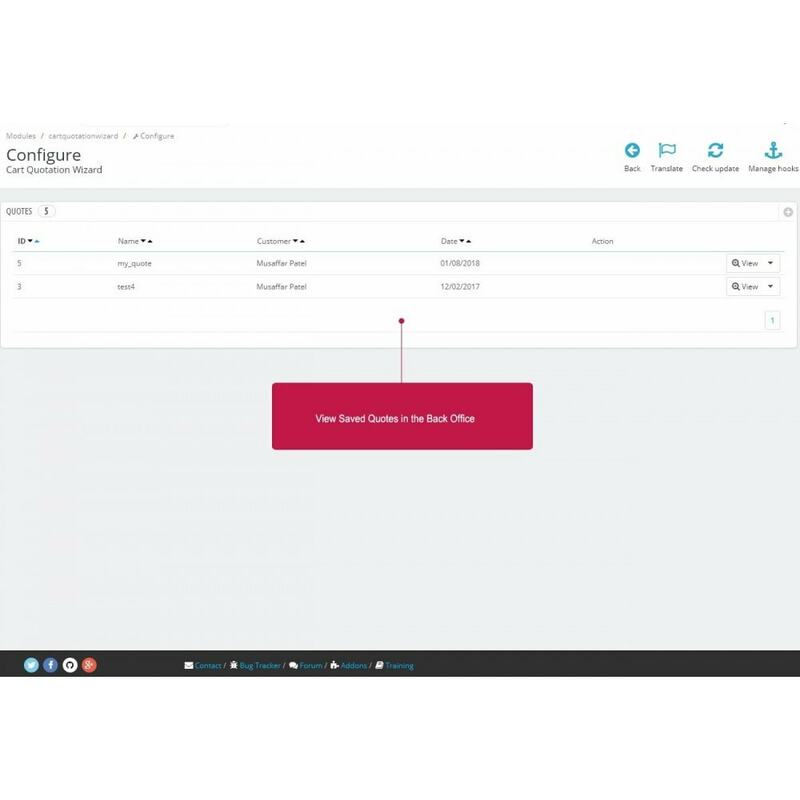 You can create and manage beautiful looking PDF templates directly within the module interface using the WYSIWYG editor. 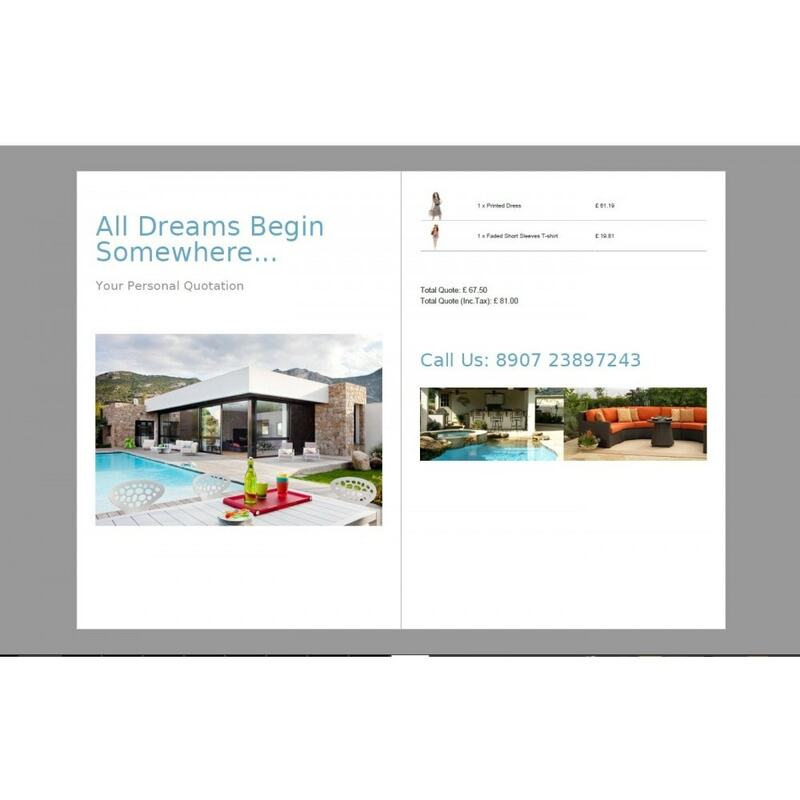 Add multiple pages to the Quotation PDF template to produce a professional looking brochure / catalog type quotation. 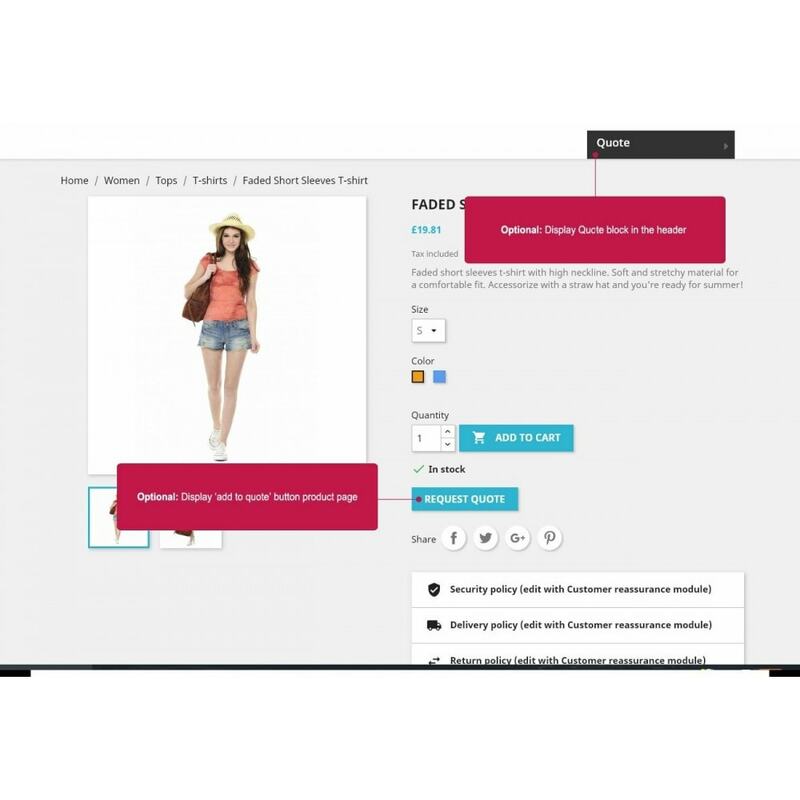 Allow customers to download a PDF copy of their shopping cart as a quote with one simple click. 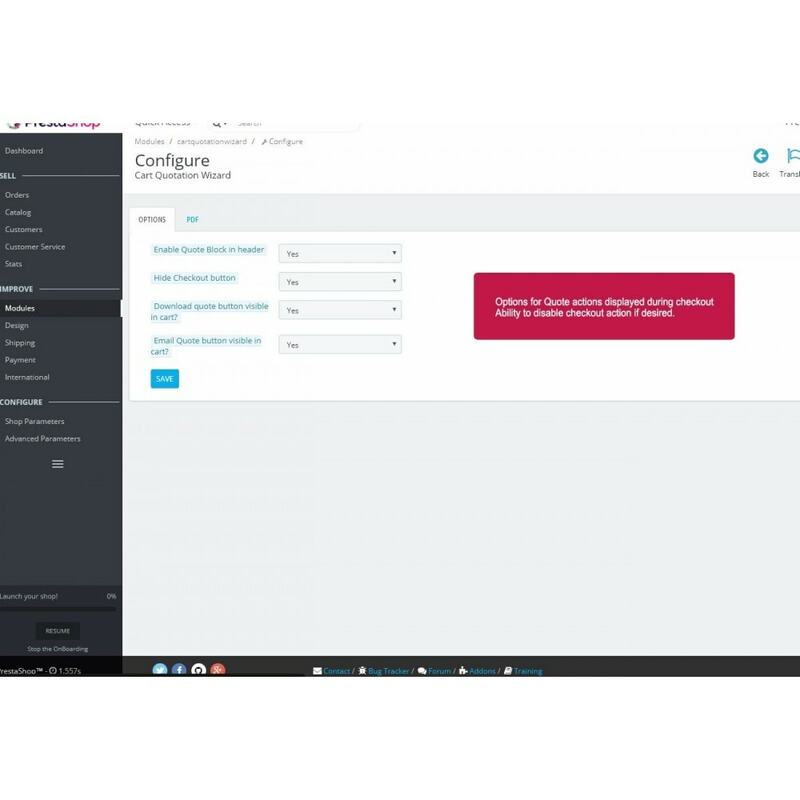 Allow customers to email quotes to themselves or other colleagues without the need for them to create an account. Quick and painless for the customer. 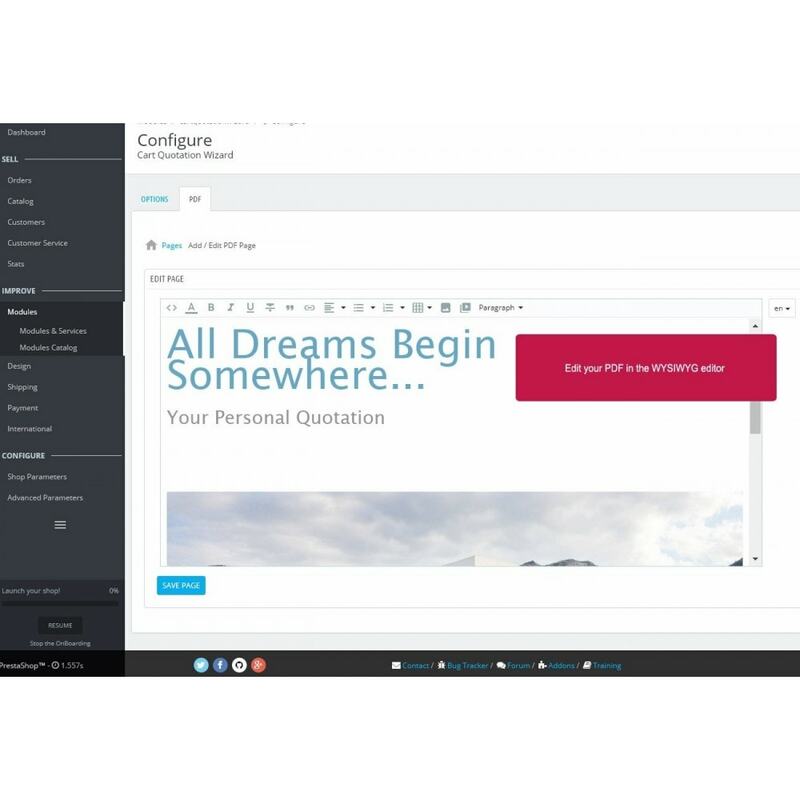 Customers can convert their email quotations to a purchase with one click from the email they receive, it couldn't be any easier. Customers can also save multiple quotations for viewing / downloading / emailing / purchasing later. 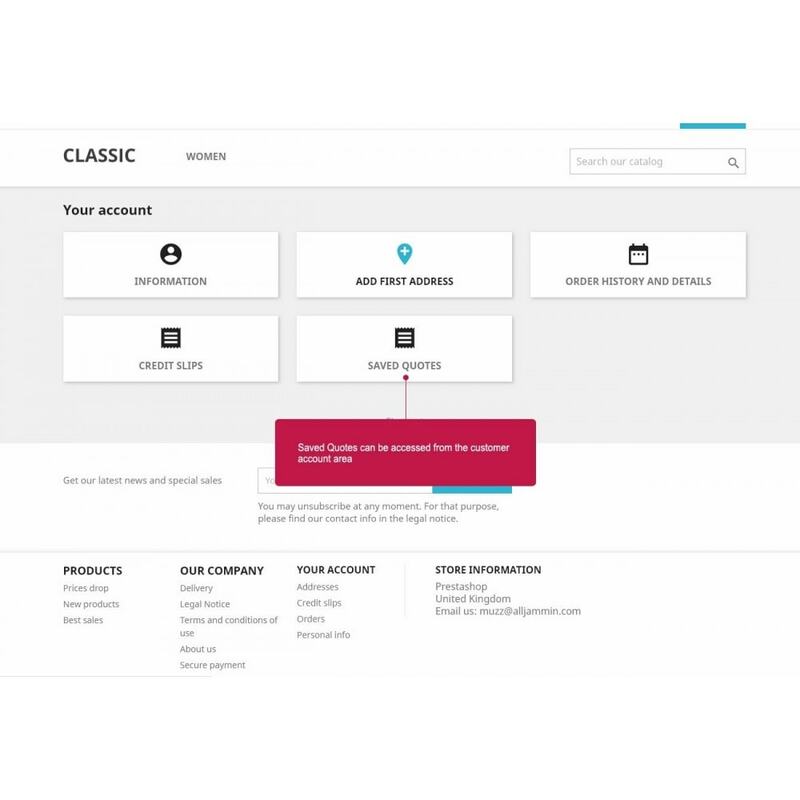 Additional options allow to control if the customer can email or save the quote during checkout. Comes pre-installed with professional looking PDF template to help you get up and running in minutes. 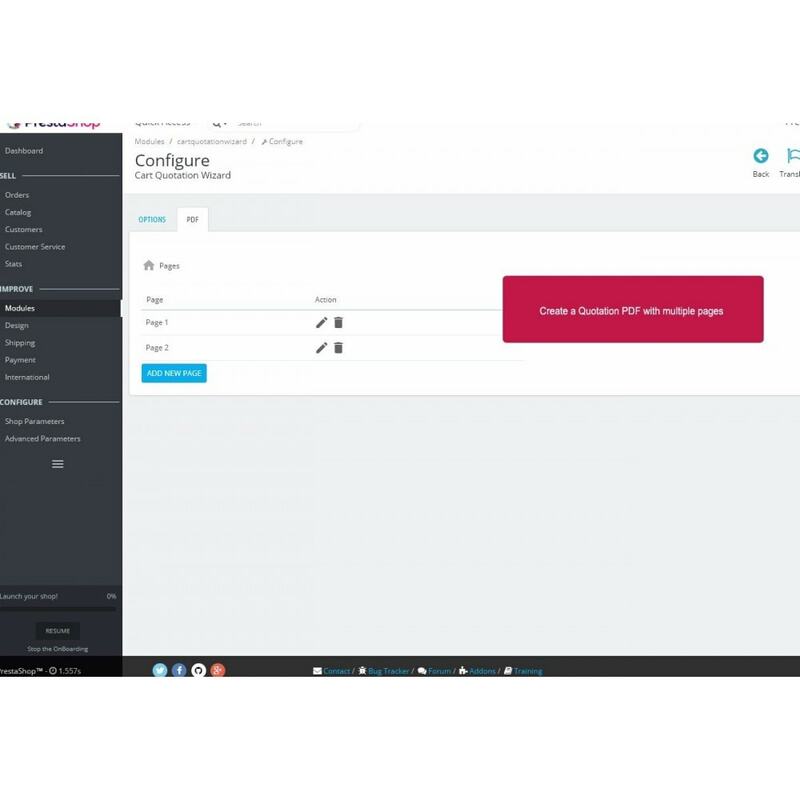 Create and manage PDF quotation template within the module interface using the WYSIWYG editor. Create a PDF with multiple pages to create highly professional looking quotations. 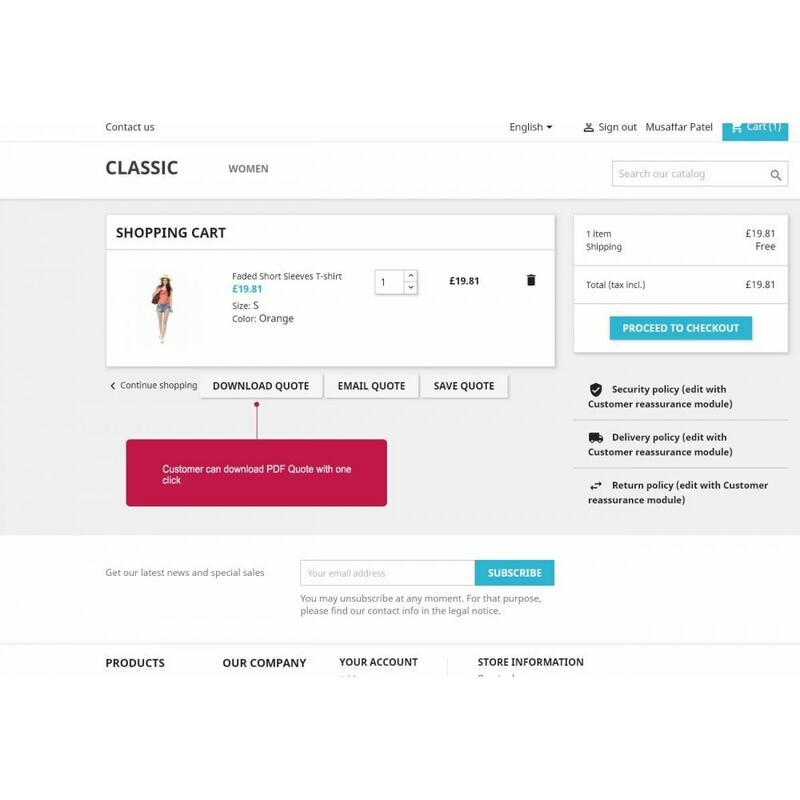 Customers can download a copy of their shopping cart as quotation with one simple click. Customers can also email their quotations to multiple email addresses for later review and follow up. Customers can also save multiple quotes to their customer account for later review or follow up. Full install and setup instructions are included in the module.